It has a cult following in the U.S. and now Soylent — the 400-calorie Silicon Valley startup meal replacement shake — has come to the UK, sold exclusively on Amazon UK in three flavours, original, cacao and cafe mocha. 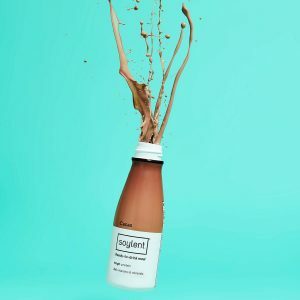 Following a successful crowdfunding campaign which raised $3million in pre-orders, Soylent launched in the U.S. in 2014 and has seen phenomenal success. By 2017, it secured nearly $75million in funding, allowing its expansion, and by January 2018, Soylent was the top selling grocery product across the whole of Amazon U.S. In America, Soylent is sold in ready-to-drink bottles, pouches and protein powder, but so far only the bottles have made it to the UK. The company planned a soft launch in the UK as it believes British customers still need some education about meal replacement products, given the wider population’s distrust for similar product claims. Soylent claims to deliver all the vitamins, minerals, protein, fats and carbohydrates your body needs in order to act as a complete meal replacement. Its formula has been tweaked to meet EU health and safety regulations with seven ingredients replaced, and the vitamin and mineral content adjusted. Soylent’s CEO Bryan Crowley believes his shakes fulfil a particularly modern need. He points out that Soylent attempts to replace ‘food voids’ — the unsustainable food choices we make when we lack time to eat properly, such as skipping meals entirely or opting for fast food or a packet of crisps instead. According to research, the average American does so approximately eight times a week, while their British counterpart makes food void decisions on average four times a week. So, is Soylent the answer? Can it compete with popular British meal replacement brand, Huel, with its army of ‘hueligan’ fans? Only time will tell, but for now let’s take a look at an in-depth review of Soylent.